Today at the MSPO International Defence Industry Exhibition, CAE announced that the Polish Air Force has accepted into service a CAE 3000 Series SW-4 full-flight simulator (FFS). 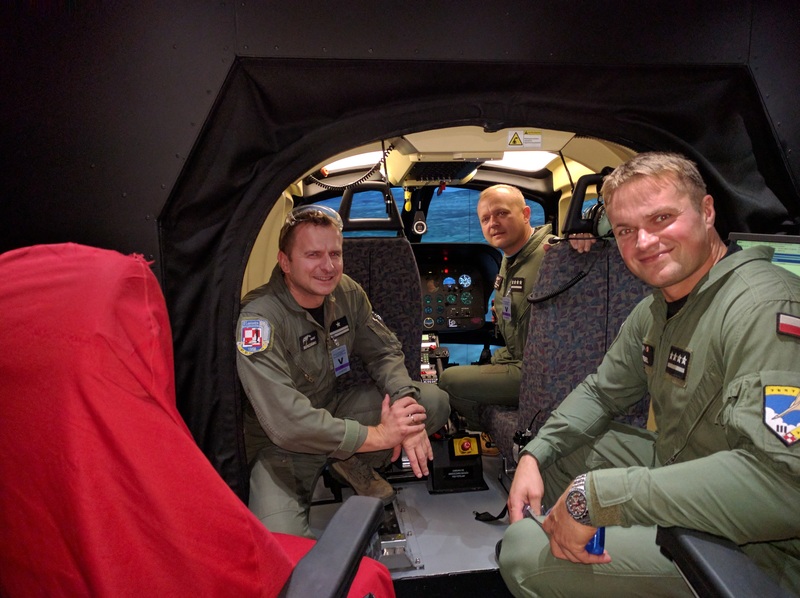 The CAE 3000 Series SW-4 helicopter simulator is located at the 41st Air Base School in Deblin, Poland, and will be used by the Polish Air Force as part of its modernized training program for air force cadets. The SW-4 helicopter, developed in Poland by PZL-Swidnik, a Leonardo Helicopter company, is a multi-role light utility helicopter used by the Polish Air Force for advanced pilot training and other utility missions. "We are pleased to support the Polish Air Force with high-quality, high-fidelity simulation products such as the SW-4 helicopter simulator, and are confident this will contribute to world-class training for Polish Air Force helicopter pilots," said Marc-Olivier Sabourin, CAE's Vice President and General Manager, Europe/Africa. "Simulation-based training has proven its value as a safe and cost-effective means of pilot training that helps to significantly reduce incidents while better preparing aircrews for complex tactical and operational flying." The CAE 3000 Series SW-4 helicopter simulator includes the CAE True six degree-of-freedom (DOF) electric motion system and high-performance vibration platform to replicate vibration cues critical to helicopter pilots; the high-fidelity CAE Medallion-6000 visual system; state-of-the-art computer-generated forces tactical environment; and a direct projection 210 degree by 80 degree extreme field-of-view dome display system. The SW-4 simulator also features the Open Geospatial Consortium Common Database (OGC CDB) architecture, an international standard for the creation of synthetic environment databases. This common software and standardization, which is also being deployed on the C295 and M-346 training systems that CAE is developing for the Polish Air Force, will further enhance interoperability across the Polish Armed Forces.